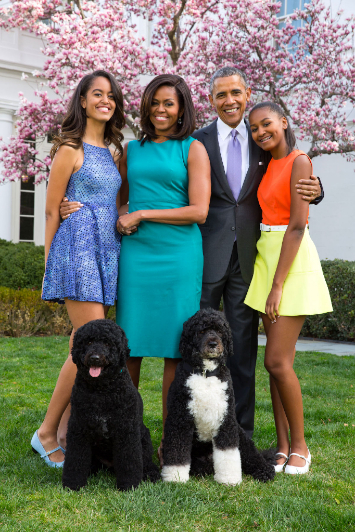 The Obamas adopted their first family dog, Bo, in 2008. 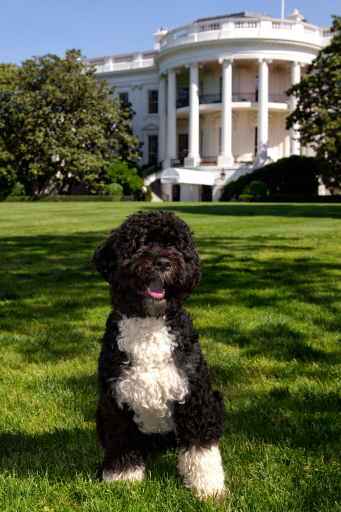 Bo, aka the First Dog of the United States, is a Portuguese Water Dog: a hypoallergenic breed chosen because of Michelle Obama’s allergies. Obama daughters Malia and Sasha named Bo after the influential rock and roll singer, Bo Diddley. 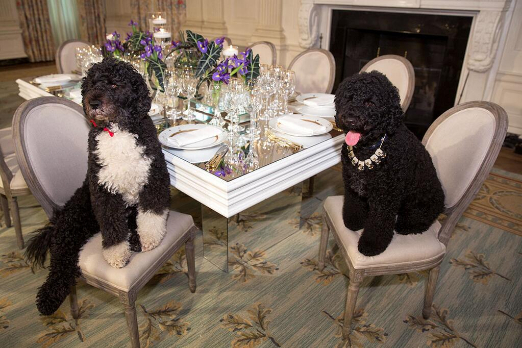 Much press was released about the Obamas’ prospects of dog adoption before deciding on Bo. They publicly expressed that they would like to adopt a shelter dog, and in response, the animal welfare group, the Best Friends Animal Society, gathered signatures from 50,000 individuals urging the Obamas to adopt from a shelter and not a breeder. 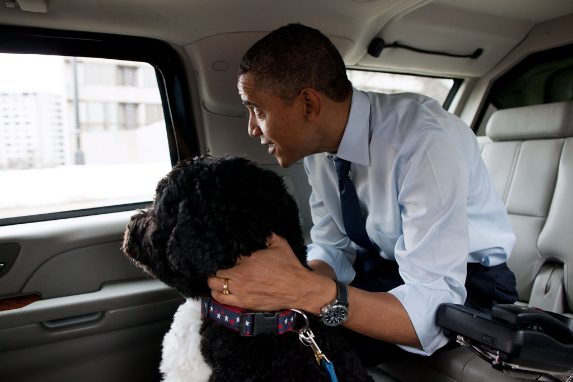 The Obamas sort of listened, obtaining Bo after he had been returned to the breeder from his first home where he was unsuccessful. 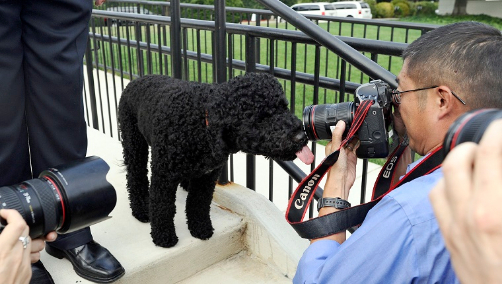 As you might suspect, Bo continued to be covered by the press for years after his adoption into the Obama family. In fact, as soon as he joined as a member of the Obama family, four children’s books about Bo and a plush toy in his image were created! Bo has been featured on Dogs 101, Ellen, and Late Night with Seth Meyers. Bo has a little sister named Sunny who was adopted in 2013. She is also a Portuguese Water Dog. Sunny has gotten less press than her big brother, but seems to be the troublemaker of the family. In 2013, Sunny got a little naughty at a Military family arts and crafts event. Sunny knocked over a 2-year-old girl, but instead of hurting her, smothered her with kisses. In 2017, Sunny bit a White House visitor. Bad Sunny! Do you know any other dogs this regal?